The conflict in Libya has created over 200,000 internally displaced people, 43,000 refugees, and wealth inequality that’s taking a toll on the middle-class. 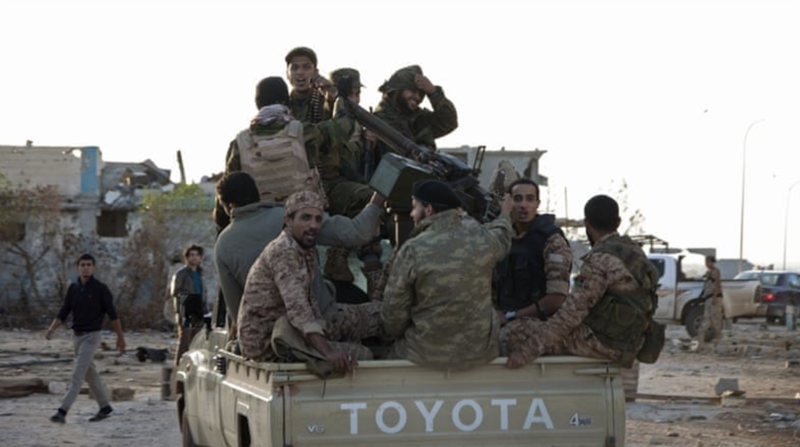 There are currently three rival centers of power in Libya: the Presidency Council in Tripoli, headed by Fayez al-Sarraj; the Government of National Salvation, headed by Prime Minister Khalifa Ghwell; and a group of authorities based in Tobruk and Bayda. Various local players also contribute to the conflict, including armed groups, city-states, and tribes. Another element of the conflict comes from Saudi-backed Salafis. This particular group of Salafis, called the Madkhalis, follow the Saudi Salafist scholar Rabee al-Madkhali, and believe that the person or group in power must be obeyed, regardless of unjustified violence used against the leader’s subjects. Muammar Qaddafi initially invited the Madkhalis into Libya to counteract the Salafi-Jihadism of the Libyan Islamic Fighting Group that was attempting to overthrow him in the 1990s. A UN report on Libya noted that certain segments of the Libyan population seem to be particularly targeted by Madkhali ideology, such as internally displaced people from Benghazi and families with members belonging to revolutionary or Islamist armed groups or Sufi followers; the Salafis oppose Sufism on the grounds that it promotes the idea of an intermediary between man and God. Efforts to reduce the conflict in Libya must focus on recognizing the role of various individual groups. The Madkhalis are especially significant because they have members fighting on both sides, which reflects the contradictory aspects of the war that are difficult to address. It will be increasingly important to mitigate the Madkhali’s influence on the conflict as they continue targeting groups like the Sufis and disseminating anti-democratic propaganda.